SigncastFeeds™ uses Smart Folders to organize uploaded items automatically. The concept behind this is when you upload content to your Feed the original content is automatically (!) saved in the backend file manager in dedicated (smart) folders. 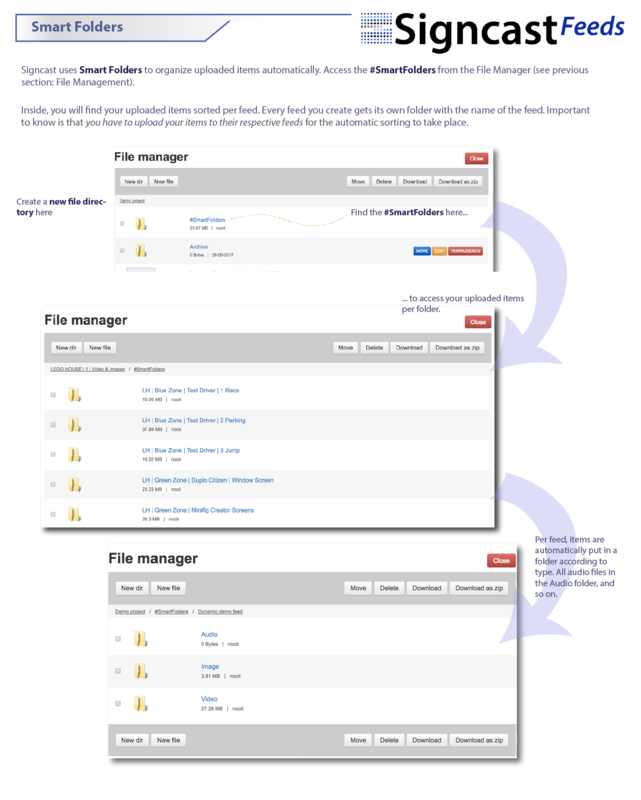 This function is very handy when it comes to organizing content for larger number of Feeds and players. With #SmartFolders you / your team now has a simple but most effective solution in storing the content in the right place without any hassles. 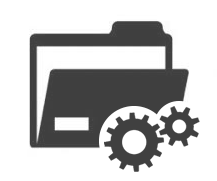 Access the #SmartFolders from the File Manager (see previous section: File Management).